A network of nerves that conveys signals from the spine to arms, hands and shoulders is known as brachial plexus. Brachial refers to an arm and a network of nerves is indicated as plexus. Damage to these nerves causes brachial plexus injuries. A paralyzed arm, lack of muscle control in the arm, wrist or hand are some of the symptoms of brachial plexus injuries. Along with any of these symptoms, there is lack of feeling or sensation in the arm or hand. The most severe type is called avulsion. 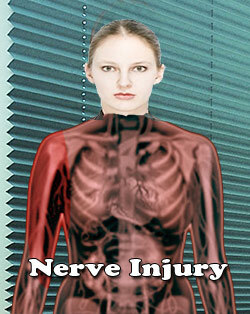 In this type of the injury, the nerve gets torn from the spine. The other type is called rupture. The nerve is torn in this type, but it occurs at a place other than the spinal attachment. The third type is called neuroma; in this type, a scar tissue will grow around the injury when the nerve tries to heal by itself and this exerts pressure on the injured nerve. It will also prevent the nerve from passing on signals to the muscles. The fourth type is neuropraxia or stretch. Though the nerve gets damaged due to the injury in this type it is not torn. Neuropraxia is the type of brachial plexus injury that occurs very commonly. Occupational or physical therapy is available for treating brachial plexus injuries and some cases may need surgery. Recovery is not possible for avulsion and rupture injuries unless surgery is done well in time to reconnect the nerves. The potential for recovery differs from patient to patient, if the injury is either neuroma or neuropraxia. Recovery is spontaneous for patients who suffer from neuropraxia. A new born affected with this injury will not be able to move the arm and will keep its arm stiff at its side. A more severe injury in an infant is indicated by a droopy eyelid on the affected side. The doctor will look for any damage to the bones and joints of the shoulder and the neck by ordering a x-ray or MRI. EMG is conducted to determine the presence of nerve signals in the muscles of the upper arm. Since recovery is possible without surgery, most infants affected by Erb's palsy or brachial plexus injury will be examined after a month again. This is to confirm the extent of recovery of the nerves. The doctor will repeat this examination after two more months. For complete recovery, it may take even up to two years. The doctor may suggest a range of motion exercises that are most important to keep the infant's joints from getting stiff.